What is wrong with this pious picture? Allow me a short excursion to some very basic biblical theology. 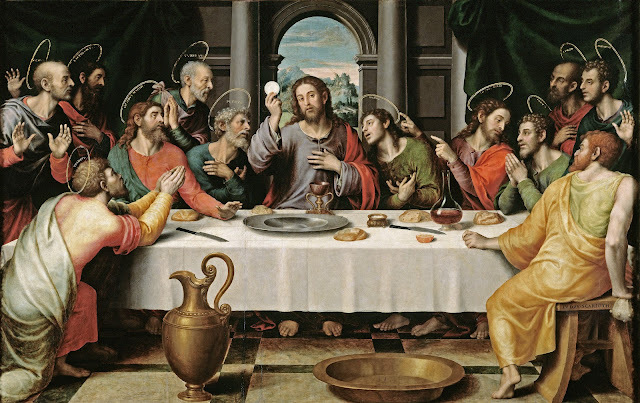 According to the New Testament, Jesus of Nazareth ate a final meal with his disciples on the night before his death (1 Cor 11:23-25; Mark 14:22-25; Matt 26:26-29; Luke 22:15-20; cf. John 6:51 and John 13-17). Unfortunately these individual biblical testimonies are mutually incompatible. What actually happened at the "Last Supper"? We do not know. We do not have anything with which we could compare it. Well-known rituals of a Jewish Seder (Passover meal) date many centuries later (from early medieval times). Even the testimonies preserved in the Talmud are decades, and in some parts centuries removed from the time of Jesus. Was the "Last Supper" a celebration of a Passover meal at all? Most likely not! Even individual biblical testimonies show substantial differences which were influenced by the theological interests of their authors. Gospel of John is prime example. The evangelist John on purpose leaves out any hints of “the Last Supper Liturgy” and replaces it with the ritual of foot washing with poignant departure from emerging superstitious and thus superficial sacramentalism. 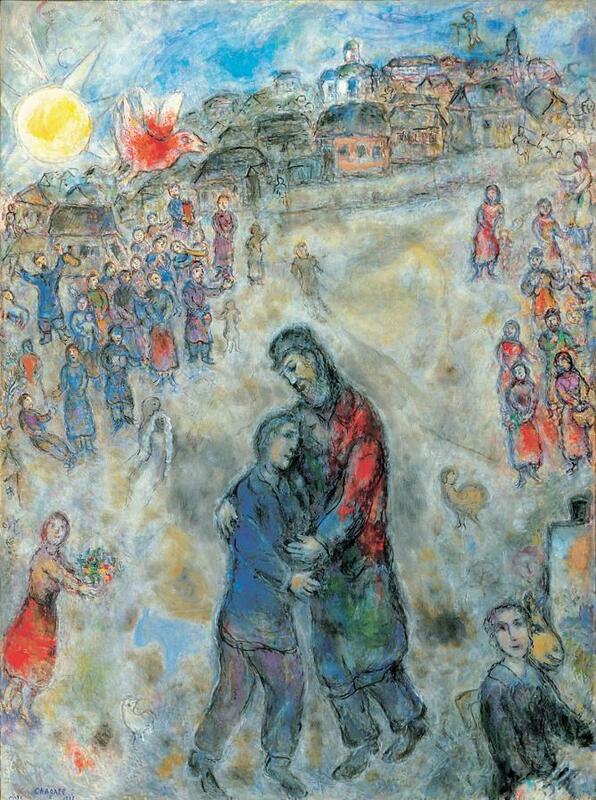 Combination of the foot washing ritual with celebration of the Holy Communion, as widespread as it might be in the lives of many churches, and as it is depicted on this painting, betrays an elemental misunderstanding of and disrespect to John’s theological intentions. Clearly it is easier to engage in sacramentalism rather than to take seriously "to love one another as Jesus loved us." the very commandment (in Latin MANDATUM) which gave this day its name. Come to celebrate with us the Good News of Easter. This year we will take a new cutting edge approach founded in the modern as well as postmodern biblical exegesis. It is a mouthful description, I know, but behind it is actually a quite simple concept. Imagine the Gospel as a singing bowl and the Easter story as a wooden mallet. Too often and in many churches the Easter story gets separated from the Gospel and on its own it makes as much sense as a wooden mallet without singing bowl; separated in this way it can actually make more spiritual harm than good. Fundamentalists can provide ample examples of fixation on the gushing blood or supranatural physicality (note the contradiction) of resurrection and empty tomb. This year at Rutgers we will take the mystical, postmodern approach and allow some nontraditional gospel texts ring with the good news of Easter. Join us this Good Friday evening and Easter Sunday morning as we take the Easter story, circle it round and round the Gospel and allow the Gospel, some of its unusual passages, to reverberate and resonate, ring and sing its surprising and powerful Easter Message. Be thrilled to bits Rutgers parishioners! Be in stitches, citizens of New York! finally s/he is fully exonerated! yes, on free time s/he enjoys inline skates. and the nuclear submarines from Groton base. - they all will be completely cut off. this is the true divine desire and lasting divine will. people around the world will listen to what s/he will say. Have you ever met a prime minister on a street? I know, the US doesn’t have prime ministers, so have you ever met, say, the President or the Secretary of State? Just imagine, shortly after the Velvet Revolution, almost 25 years ago now, I saw Czech Prime Minister Petr Pithart leaving the Parliament and walking along the sidewalk, probably for a lunch in one of the nearby restaurants. Those were the heady days of the newly found freedom after the collapse of totalitarian regime. In those days a dada-ist Society for the Merrier Present gifted the newly elected Czechoslovak President Vaclav Havel with a red scooter so that he could get faster from one corner of Prague Castle to another. And he did use it! It was remembered decades later in many obituaries by world news-outlets: for instance BBC, The Economist, The Guardian, CNN, even NYT! The “presidential scooter” was a mere trifle among his real achievements of the thoughtful resistance to the totalitarian regime, his participation in the dismantling of the Iron Curtain and peaceful transition in Central Europe. But the presidential scooter clearly captured the imagination of many and made it into history books, and rightly so. That scooter was a song of joy, an outburst of hope and a mockery to all the pompous and self-obsessed politicians with armored limousines, bodyguard gorillas with squeaking earpieces and regiments of secret agents and sharpshooters all around. That red scooter was a symbol of the playful imagination over against the drab bureaucratism of power. When Jesus entered Jerusalem riding on a donkey he made exactly such a statement and a prophetic gesture which is still remembered two thousand years later. 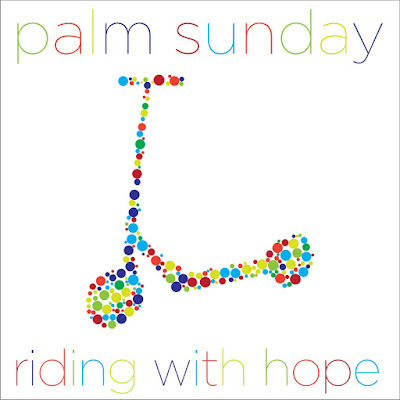 Join us this Palm Sunday in celebrating the alternative vision of politics, life and religion. 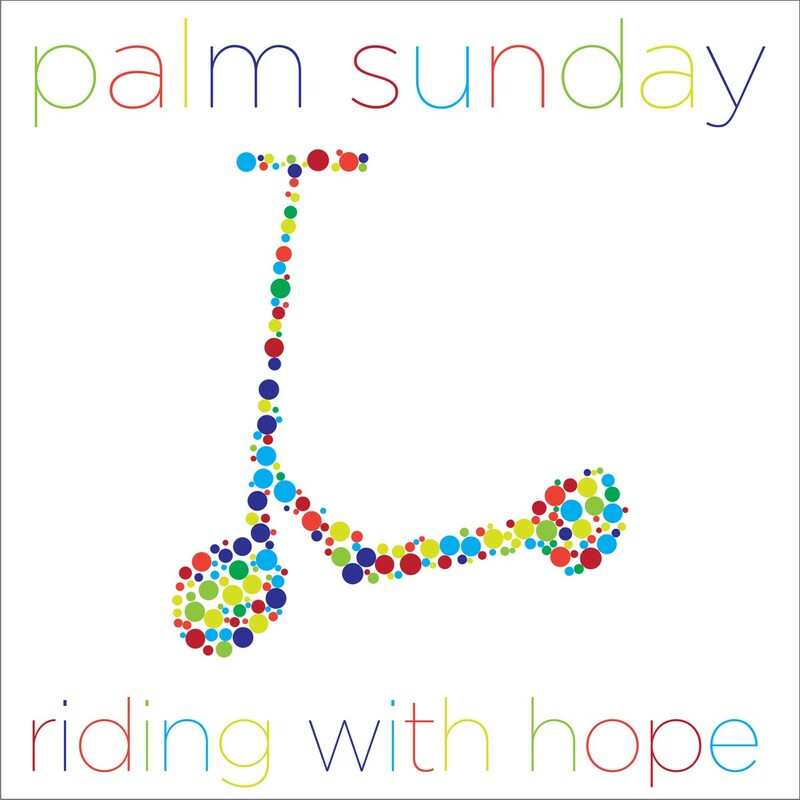 And if you or your child/ren have a scooter, bring it along for our Palm Sunday Scooter Procession. The joy of repentance? Am I joking? What kind of joy may there be in repentance? Isn’t it an exemplary contradictio in adjecto - contradiction in terms? Not in the slightest! But I don’t mean repentance as commonly understood, but repentance in its original Biblical meaning. In English, repentance is predominantly associated with negative feelings. The word is derived from the medieval practice of penance as self-affliction in an attempt to “atone” for “sins”. And in Penitentiaries these feeling of guilt were not even voluntary but were forced by institutionalized punishment. All this misunderstanding of repentance came from Latin paenitere which meant “to feel regret or guilt.” The Medieval church used and abused this linguistic coincidence and kept entire continents enslaved for centuries by guilt and fear while suppressing the fact that the biblical repentance had very different meaning. The New Testament word for repentance was METANOIA. This word had nothing to do with any feelings of regret or guilt. This Greek word meant “the change of mind”, a “thorough reorientation of understanding and thinking” which you can visualize as a sudden and radical enlightenment. Repentance in the Hebrew language is TESHUVAH and it takes us even further away from any medieval misunderstandings of guilt and fear. Repentance in Hebrew meant “turning around”. To repent meant to reorient living; in the religious sense it meant to return back to God, and thus to put one’s life again in harmony with the divine will. Biblical repentance, in Greek and especially in Hebrew, is not burdened with guilt and is not manipulated by fear; biblical repentance restores harmony, brings integrity and leads to well-being. Biblical repentance is cathartic, liberating and curative. Thus “the joy of repentance” is not a contradiction - it is its ultimate goal, its ultimate fulfillment! This aspect is marvelously captured in this Sunday’s Gospel reading of the Parable of the Prodigal Son. Come this Sunday to rejoice in healing, liberating, restorative repentance.